Now here’s a strange and obscure one for my blog entry day. In looking through my programmes and tickets for a band to write about, I found a programme for a band called Riff Raff. Now I have no recollection at all of where and when I saw Riff Raff, who they were and what sort of music they played. But the fact that I have the programme pictured here suggests that I did indeed see them. 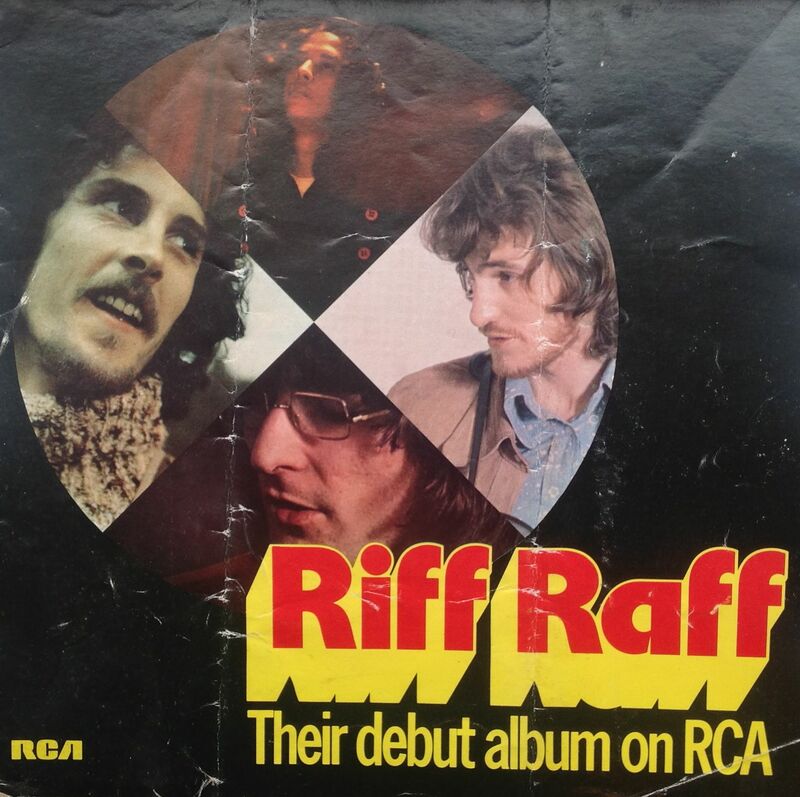 Quick googling tells me that Riff Raff were active around 1972 and 1973. Actually I’ve thought a little more about this. I discovered that Riff Raff featured on the bill of the 1973 Reading Festival, so I think that is where I must have seen them. And if I think a little harder something deep in the back of my mind tells me that they were throwing these programmes out to the Reading crowd. The folded up and crumpled nature of it would support that possibility. I can even see some traces of mud 🙂 . I listened to Riff Raff on YouTube this morning; their music was a mix of avant-garde, jazz and prog-rock; they reminded me a little of Soft Machine, with a tinge of the melodic of early Genesis.